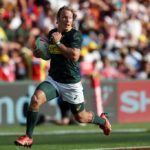 The Blitzboks overturned a 7-5 half-time deficit to claim a 22-7 win over Japan in their opening match at the Hong Kong Sevens on Friday. DYLAN JACK reports. 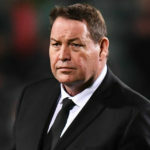 All Blacks coach Steve Hansen is reportedly set to become director of rugby at Toyota Verblitz following the World Cup in Japan. 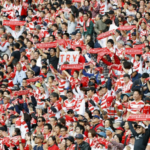 The Sunwolves have called on fans to continue supporting the side following the announcement that they will be axed from Vodacom Super Rugby after the 2020 season. Bryan Habana believes the Springboks’ playing experience in Japan will benefit South Africa at the World Cup later this year. 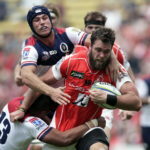 Wimpie van der Walt, Grant Hattingh and Lappies Labuschagné have all been included in a 20-man Japan training squad for the World Cup. More than half of this year’s World Cup pool games have already been sold out after tickets went on sale to the general public two days ago. 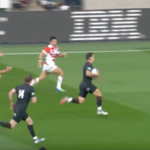 Highlights of England’s 35-15 win against Japan at Twickenham. 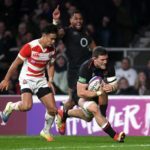 England overcame a five-point half-time deficit to claim a 35-15 victory over Japan at Twickenham on Saturday. 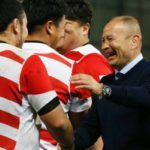 Eddie Jones has vowed that his England side will show no mercy to Japan when they meet at Twickenham on Saturday. 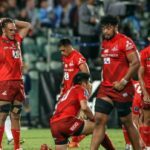 Ngani Laumape scored three of the All Blacks’ 10 tries in their 69-31 win over Japan in Tokyo on Saturday.